The death of a crypto executive trapped C$190 million on a Canadian exchange. Or did it? Quadriga said it's unable to gain access to $145 million of Bitcoin and other digital assets after the death of Cotten, its 30-year old CEO and Co-Founder. Gerald Cotten was always conscious about security -- the laptop, email addresses and messaging system he used to run the 5-year-old business were encrypted, according to an affidavit from his widow. 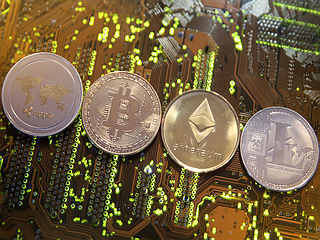 Gerald Cotten, founder of cryptocurrency exchange Quadriga CX, left all his assets to his wife, Jennifer Robertson, and made her the executor to his estate.